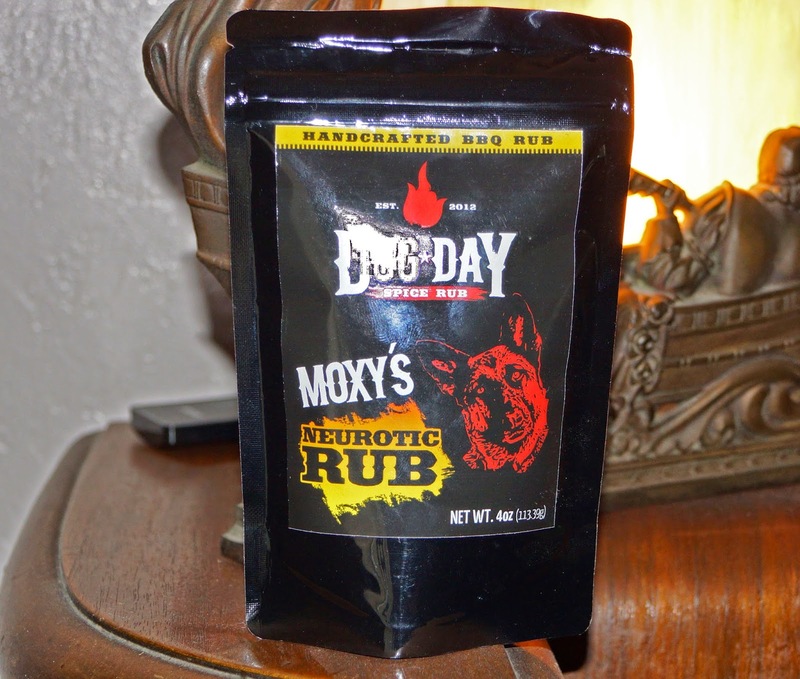 Moxy's Neurotic rub is another spice blend in the line up from Dog Day Spice Company. This rub is named after the owners German Shepard Moxy, who was a little bit neurotic but sweet almost all of the time. We will try this rub on a pork shoulder roast that will be smoked on our Weber Smoky Mountain Cooker. The ingredients are few and simple; pure cane sugar, salt, chile's, paprika, onion, garlic and pepper. and spices. When the resealable pouch is opened an aromatic bouquet of fresh spices tingle your senses. I dip my clean finger into the mix and taste a salty sweet mix with no discernible heat. Let/s fire up the grill. Fast forward nine hours in the smoker. The roast looks fantastic. 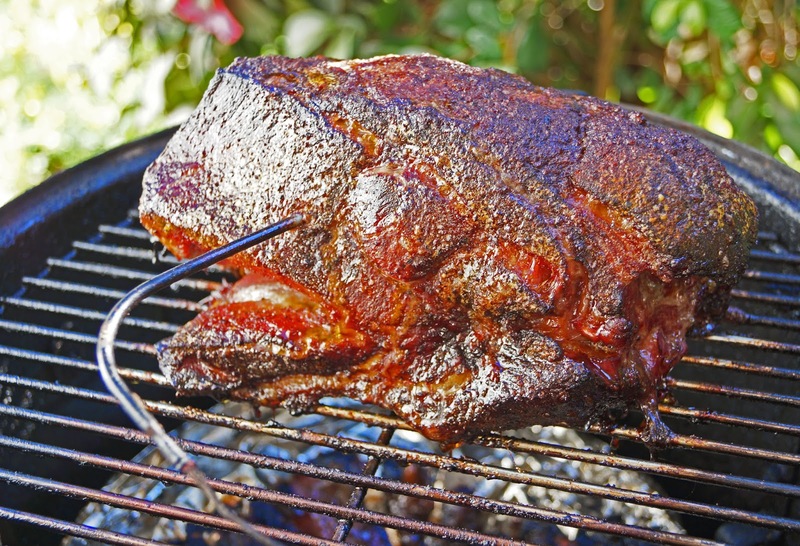 The sugars in the rub have caramelized to form some fantastic meat bark. This bark is considered meat candy in our household. It had a fantastic flavor that was enjoyed over several meals. This rub not only caramelized but also seasoned the pork to compliment and elevate the porky goodness. 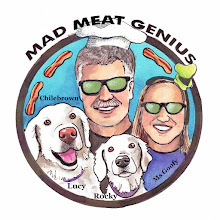 This is another great spice rub offered by Dog Day Spice Company. Three Dogs BBQ, This rub is a keeper. I love a good bark. Tomorrow we are smoking our corned beef. I cannot wait. 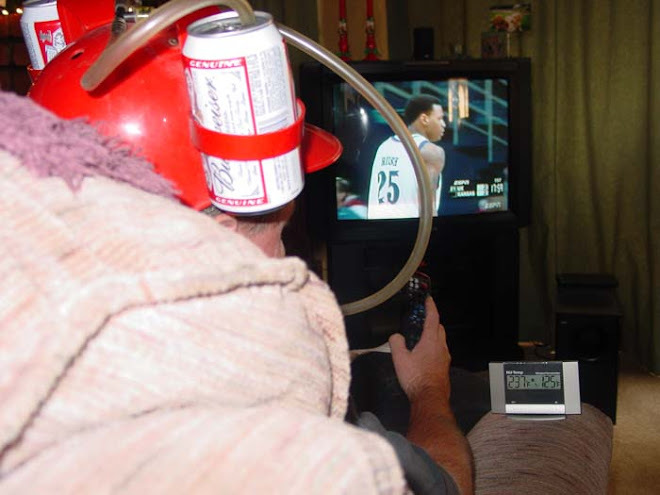 Greg, This company is based in Martinez. You are not to far away. greatwhite hunter, You are having a senior moment, phase and mental degradation. You sent me a message that wan encrypted in crazy uncle jargon. As far as I know Dog Day Spice is not available in traditional Wally Mart type stores. When we conversed you asked me for advice on cooking not rubs. In closing if you do not have a phone how will you be able to navigate your back up camera's gps device.